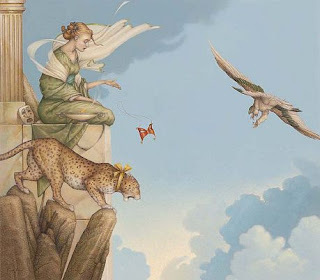 Recently in my meandering around the web, I remembered the fantasy paintings of Michael Parks. I would like to eventually get at least one of the limited edition prints. However, I especially liked these as they show-case the big kitties that I love.